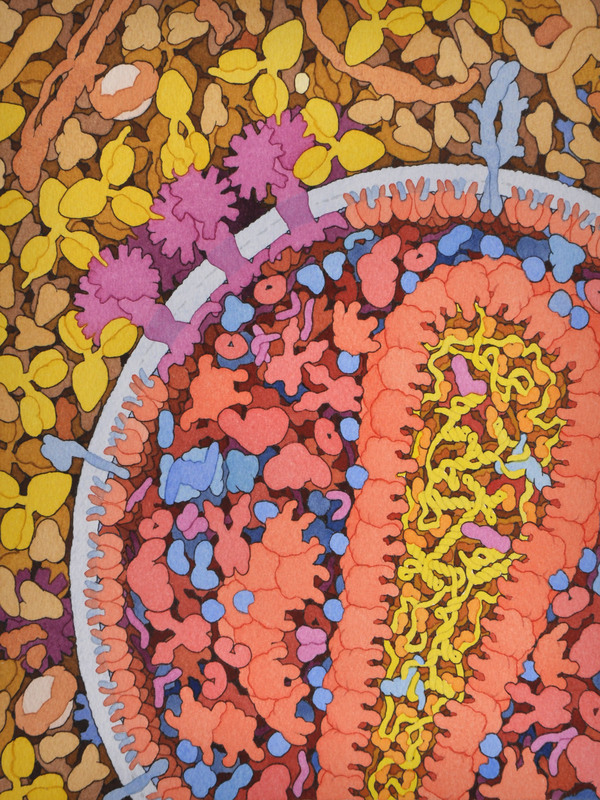 In this cross section, HIV is shown at lower right, with viral proteins in red and magenta, and viral RNA in yellow. Blood plasma is shown at the top and left side. Several broadly-neutralizing antibodies are binding to HIV envelope glycoprotein. Other viral proteins include matrix, capsid, reverse transcriptase, integrase, protease, Vif and Tat.